Another flat month of Tesla Model 3 deliveries is a bad sign. Tesla has been delivering Model 3 cars to U.S. customers at an average rate of about 900 per week since February. Despite Tesla's frequent updates about Model 3 production, nothing done has changed the flow of cars to customers, some of whom have waited years for their Model 3. Tesla hides its monthly delivery data from investors and the general public, but Inside EVs does yeoman's work collecting VIN numbers, and scouring registration data to glean insight into just how many vehicles Tesla places into the hands of customers. The EV-advocacy publication has proven to be extremely accurate with its predictions and makes corrections to its published data each quarter when the SEC forces Tesla to reveal the bad news. This past month of April Inside EVs estimates that Tesla delivered just 3,875 Model 3 cars to new owners. 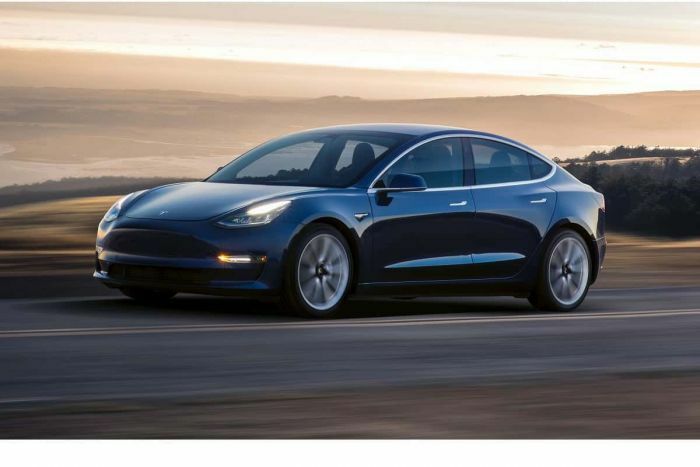 In March, the group estimated that Tesla delivered 3,820. Basically, Tesla has not increased its delivery rate in more than two months. This many EVs would be great news had Tesla not promised in mid-2017 that the company would be building and delivering 20,000-plus Model 3's per month by December of 2017. Tesla told investors a month ago that the company had reached a milestone of producing 2,000 Model 3 cars in a week. If that was true, there must have been weeks of almost no production. In fact, Inside EVs does point out that there was a shutdown period. With no official Tesla data to fill in the blanks, it looks like Tesla's Model 3 production woes continue into May. Tesla delivered about 2,300 Model S and Model X vehicles in April by Inside EV's best estimate. Down substantially from last month (March).